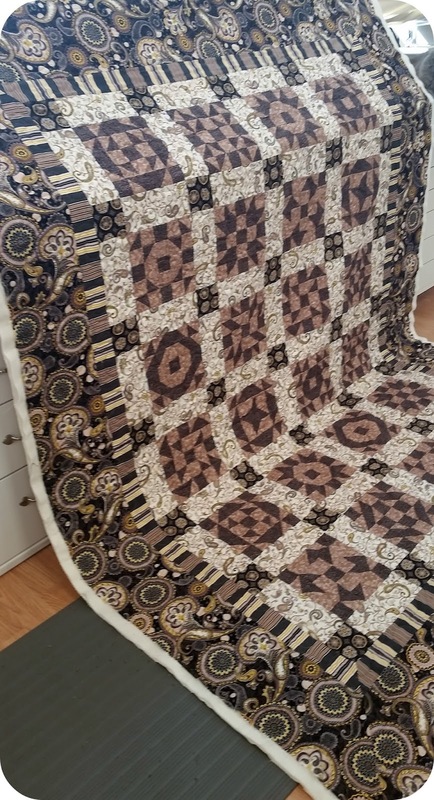 I bought this quilt last fall from Fat Quarter Shop. 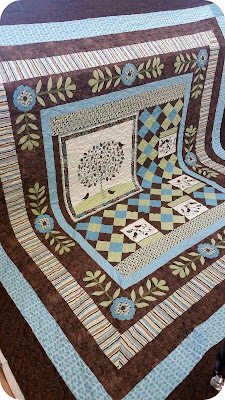 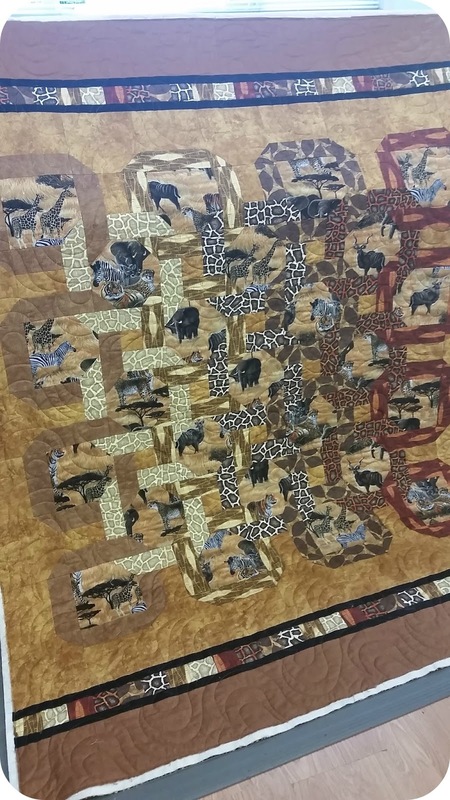 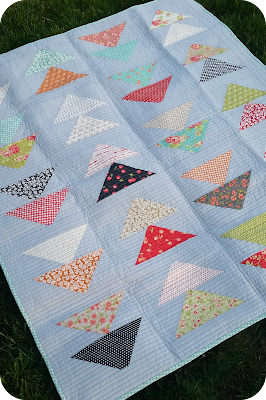 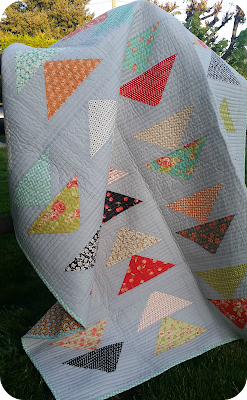 It's the Migrataion quilt using the FarmHouse line(so much lol!!) 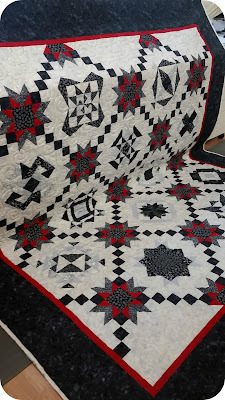 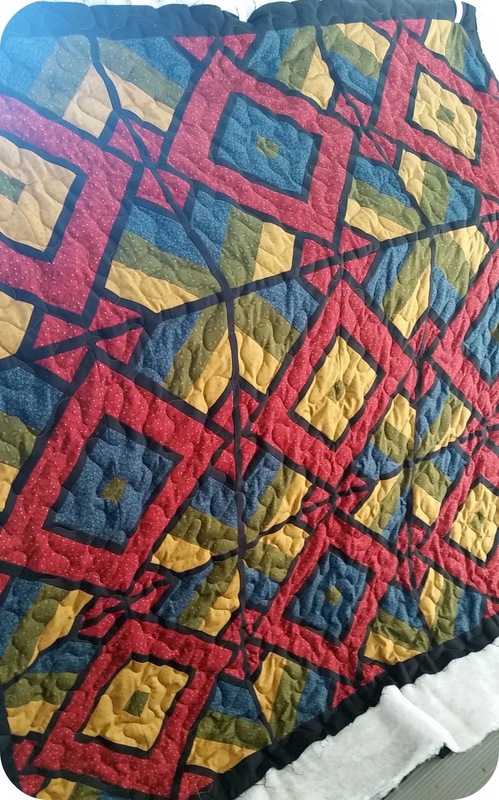 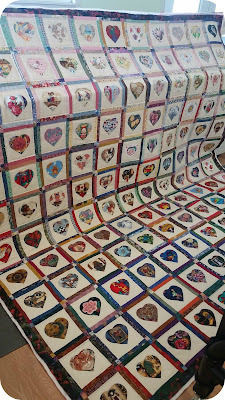 I've had the quilt finished for a while now, it just took me what felt like forever to get the binding completed. I wasn't sure how I wanted to quilt this so I went with straight lines at about 3/4s of an inch apart. 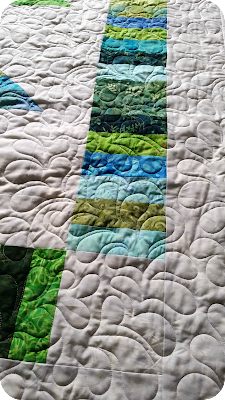 It's funny, doing straight lines takes almost as long as quilting a pantograph sometimes. 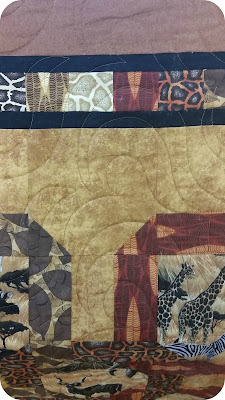 I do have a complaint about this kit. 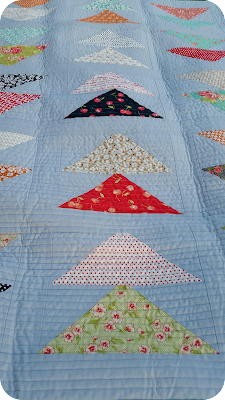 I'm not sure if there was a mistake in the cutting directions but every single top point on my triangles is whacked off. 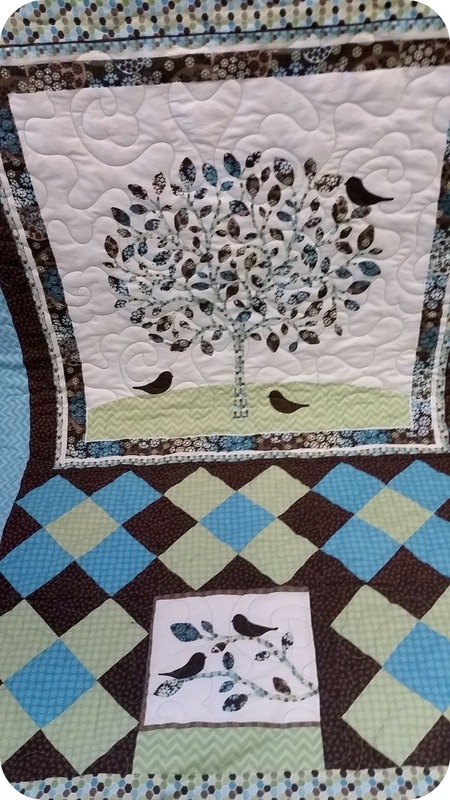 I'm sure there needs to be an adjustment somewhere in the pattern. 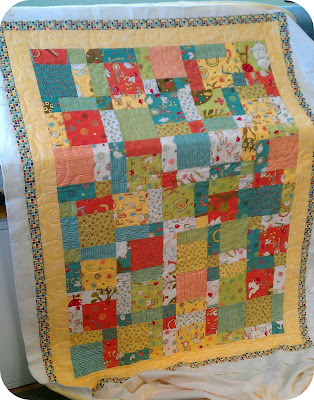 And again, I regret not hoarding some of this line. 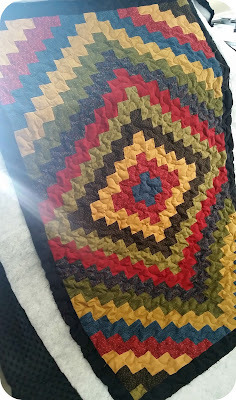 Think I'll have to do some checking and see if I can get my hands on more. 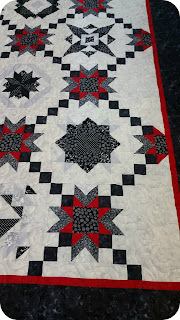 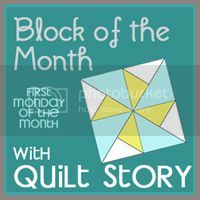 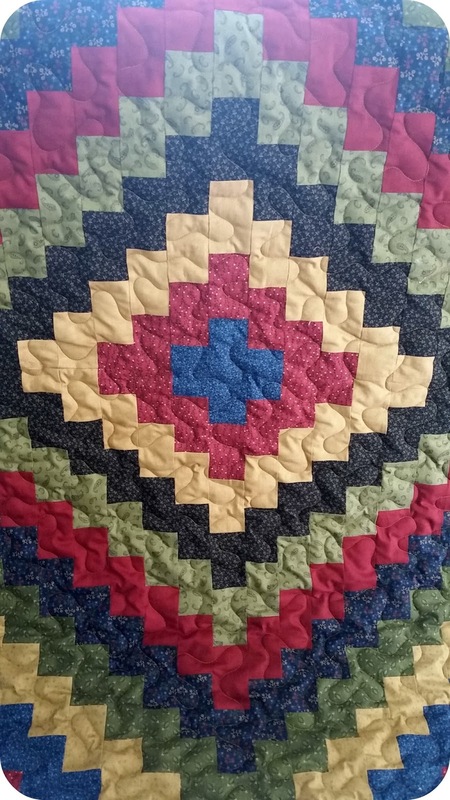 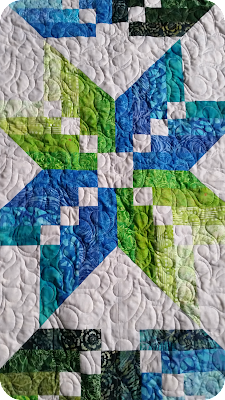 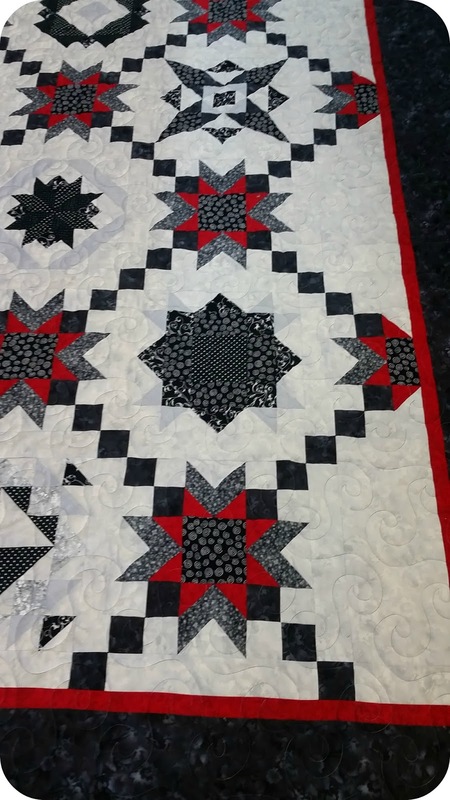 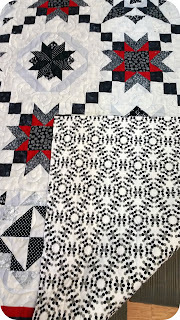 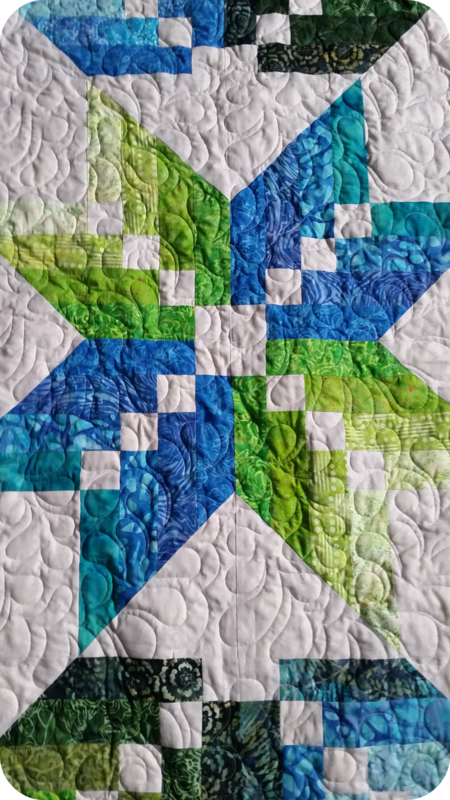 I've posted a few times about my JellyRoll Star quilt. 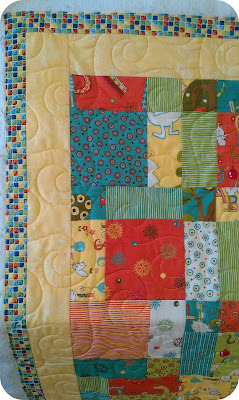 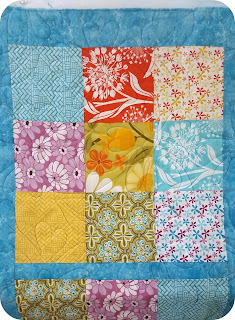 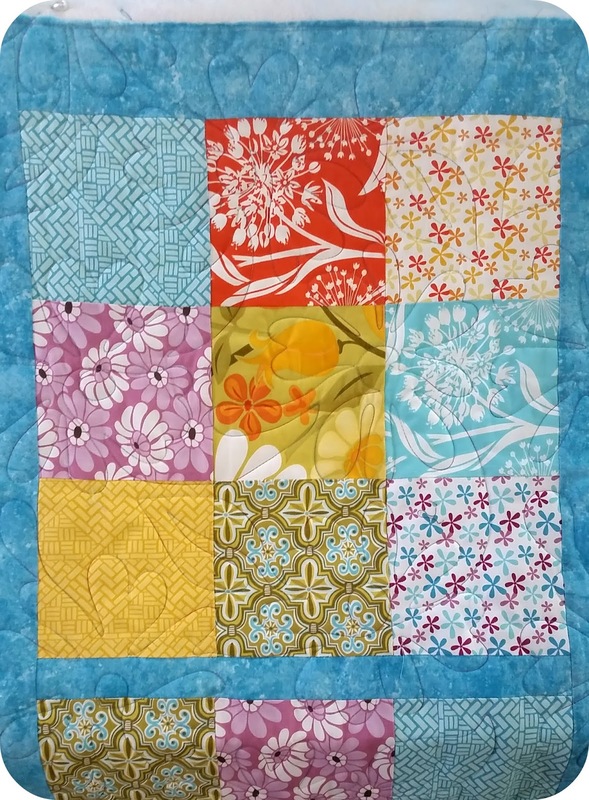 I wasn't sure what I was going to do with this quilt as I loved the colours but it didn't work in my house. I debated making the quilt smaller and making it a wall hanging. I debated not finishing it at all. 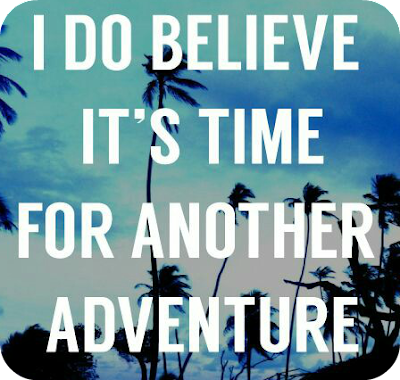 Then I realized, a young couple was getting married soon. 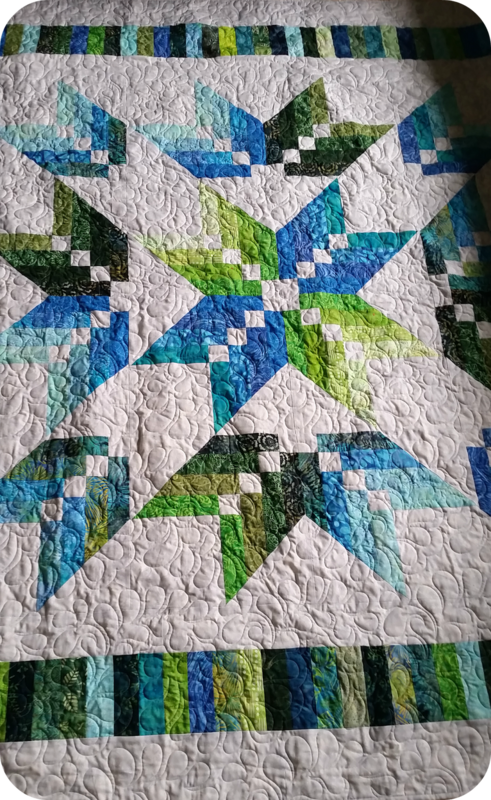 And her favorite colours were blue and green. And a plan was in place. I adore how this quilt turned out. 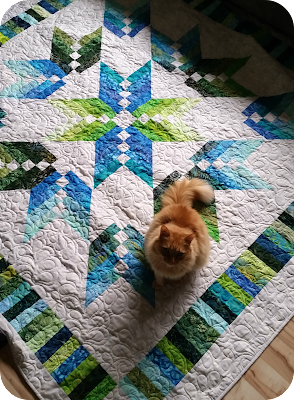 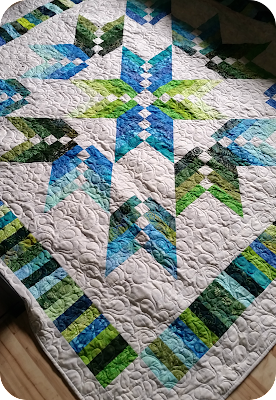 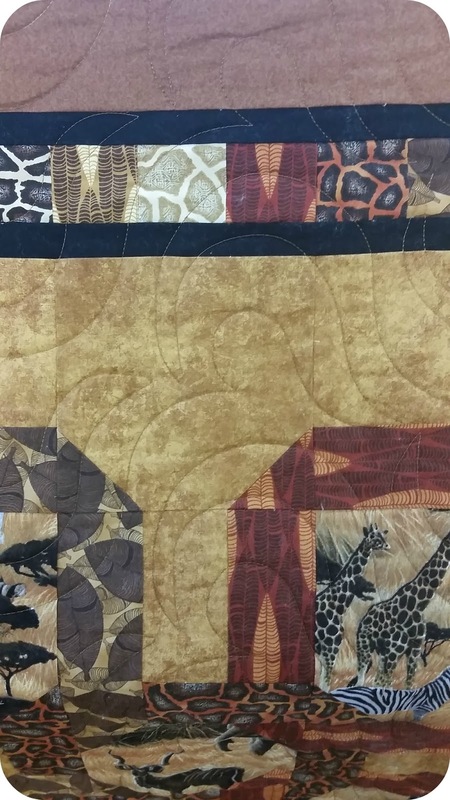 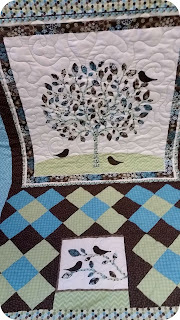 I felt feathers were the perfect quilting choice and I don't think I could have chosen better. 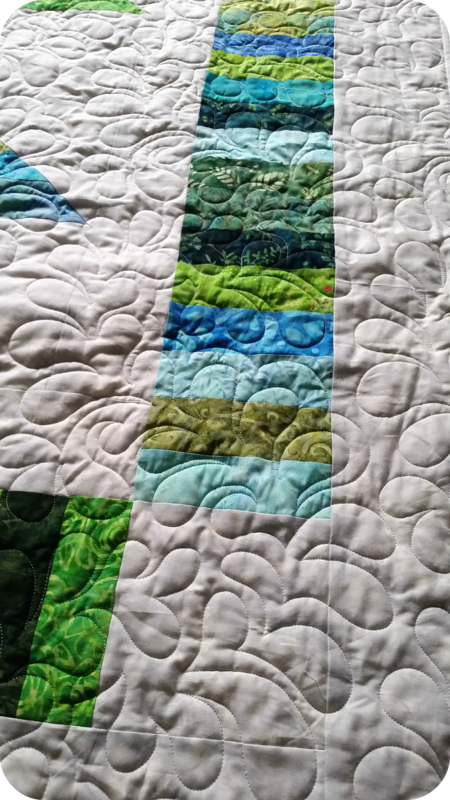 I ended up having to sneak some extra fabrics in for the piano keys; they blended perfectly. 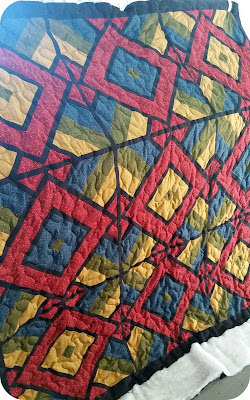 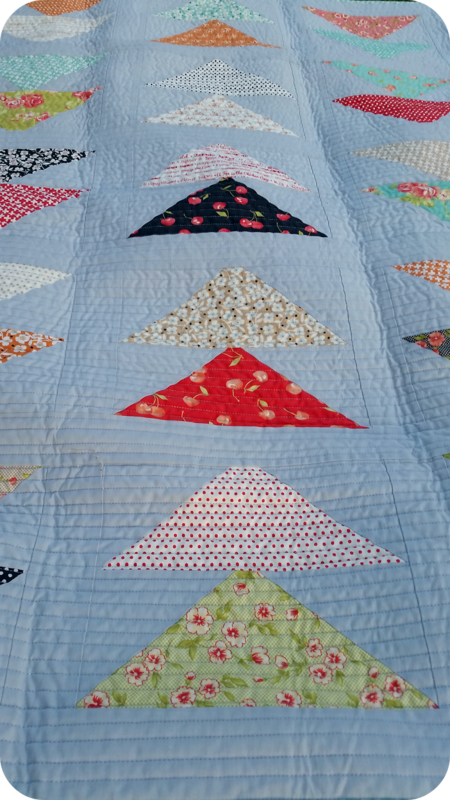 My favourite thing about gifting this quilt? 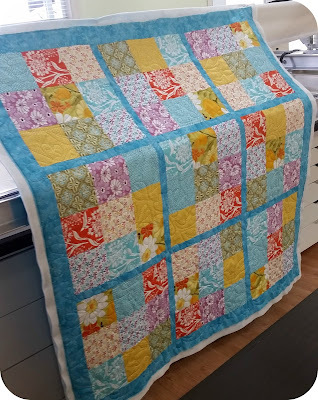 Receiving a huge thank you hug a few days later. 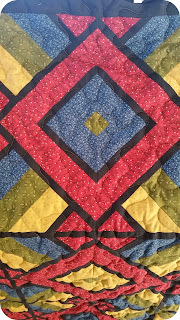 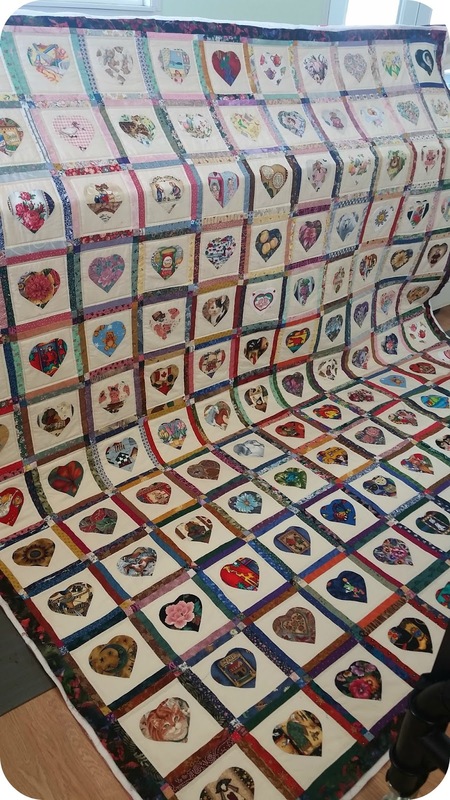 Sadly, the past few quilts I have gifted people, there have been no thank yous. 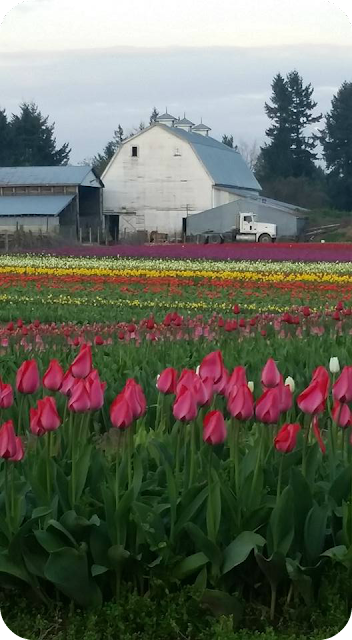 This one might make up for the others. 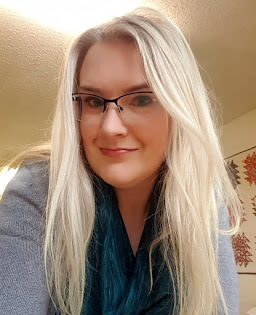 I totally forgot about Card Friday yesterday. Biggest reason being that I haven't stamped in ages; you should see the list I have of cards I need to make. 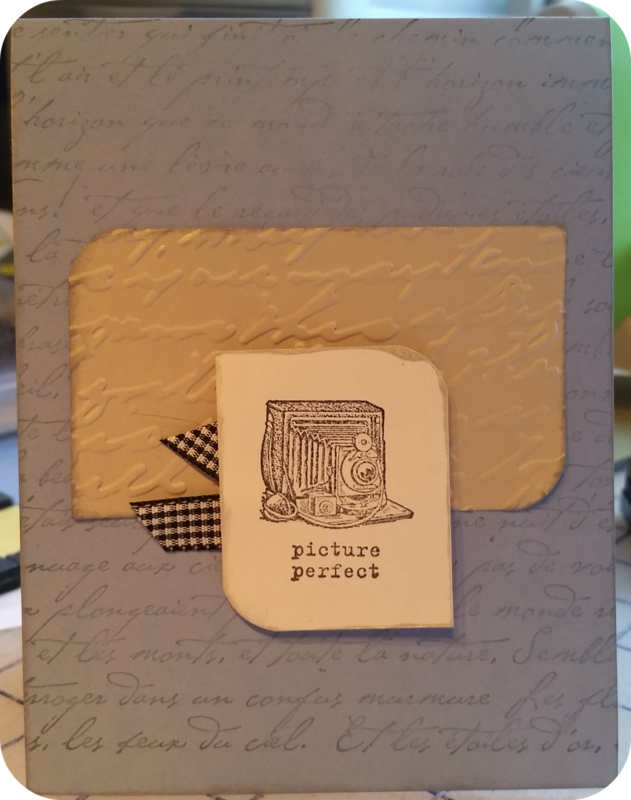 I do have something card related to show you. 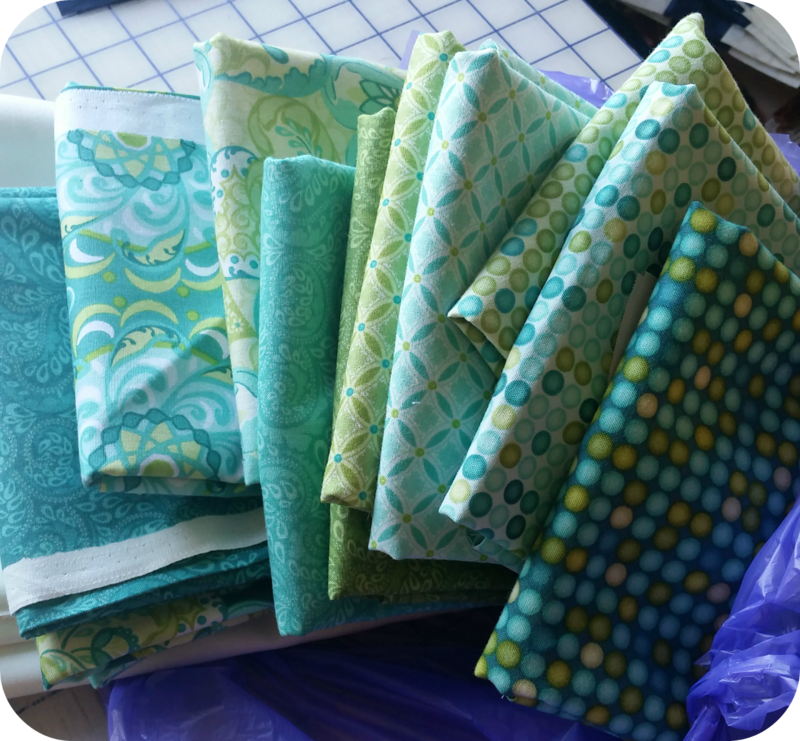 A few weeks ago, one of my clients surprised me with a bag full of goodies. 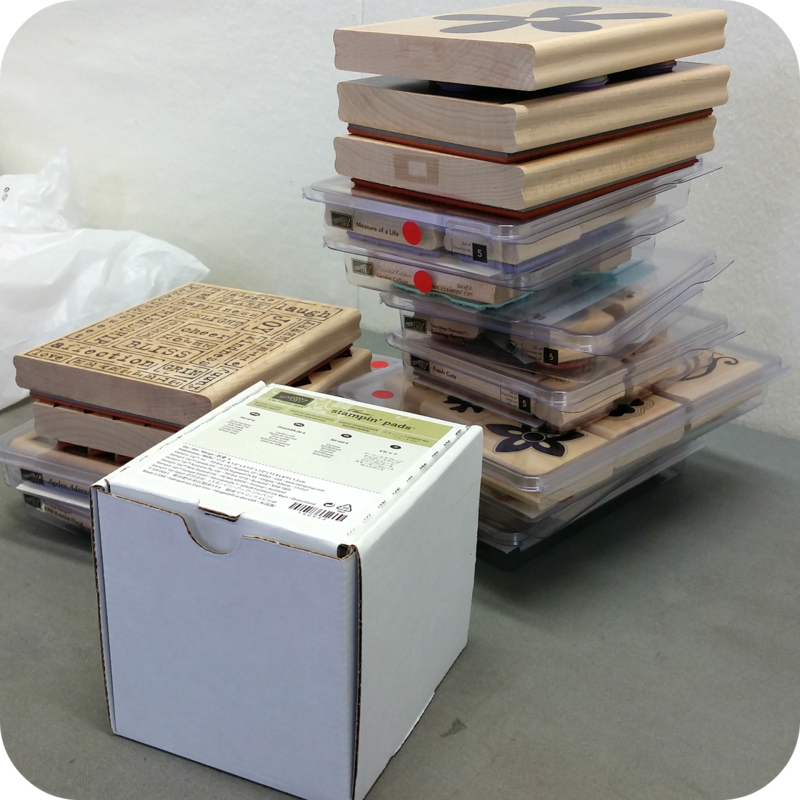 Most of these stamp sets are brand new! Such a great surprise and such an awesome gift! Now I just need to sit down and create with them.